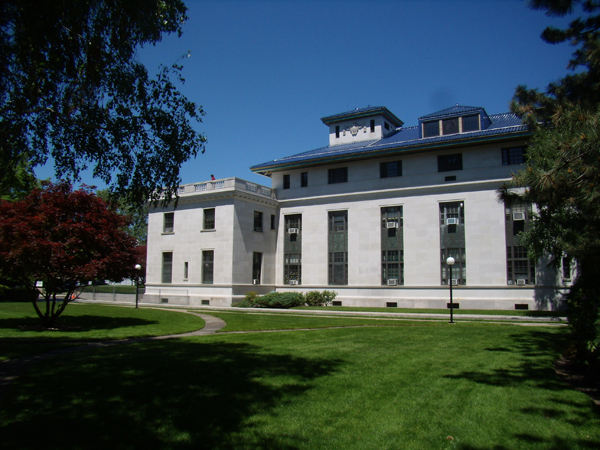 The preservation and adaptive reuse of exemplary historic structures is a key element in sustainable building strategies. The embodied resources and energy of older buildings, and the energy needed for their premature removal and disposal should be carefully considered before planning the demolition of any significant historic structures. After nearly 80 years of exposure to the elements, the parapet walls and the tile roof of the Kirby Health Center were showing signs of age. 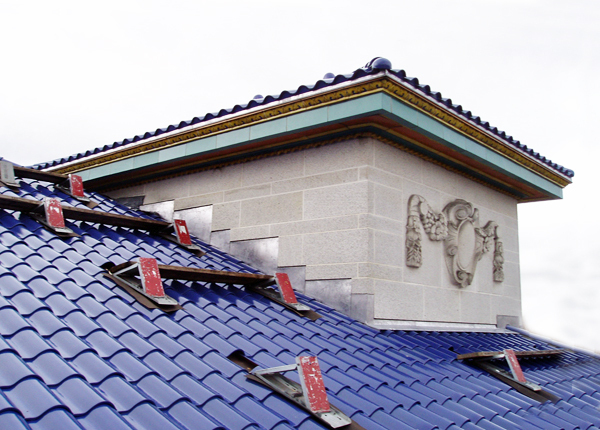 The original Ludowici blue tile roof had cracked and chipped tiles, the built-in copper gutters had been patched many times, and the flashing on the parapet walls were causing leaks at the perimeter of the flat roof decks. 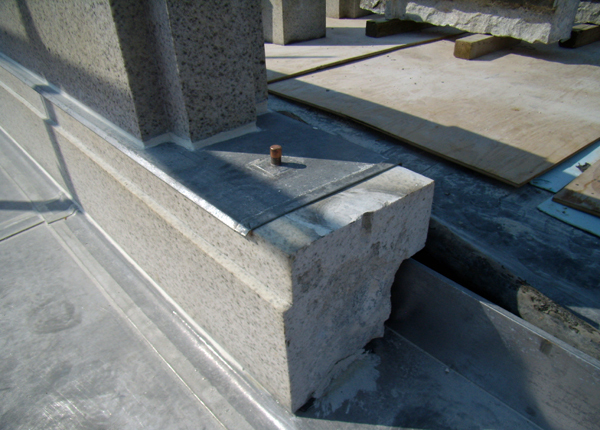 To restore the life of the building fabric, the parapet walls were completely disassembled, new lead coated copper thru wall flashings with improved details were installed, and the then the walls were reassembled. 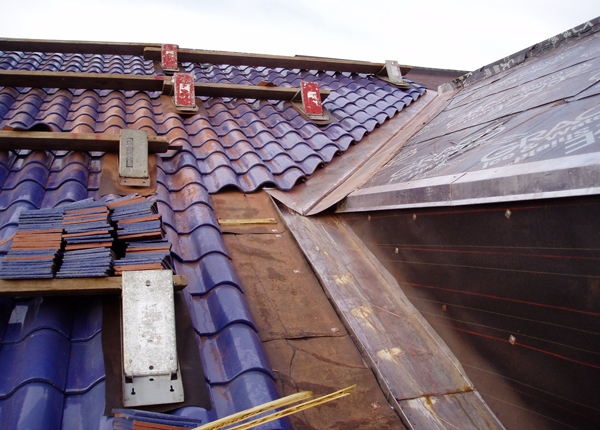 The old tile roof was peeled off and new copper built-in gutters and flashings were fabricated and installed. 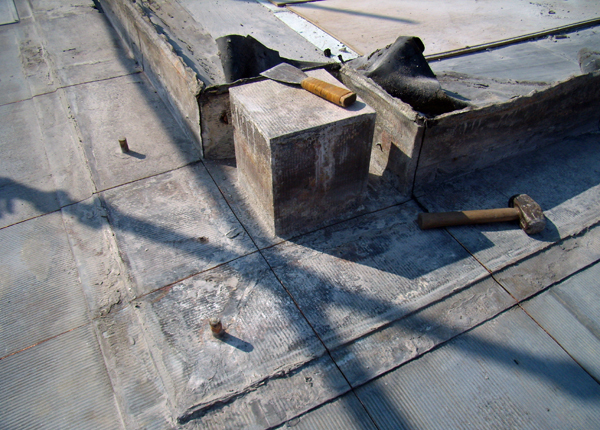 A new 3/4" plywood deck was secured to the old gypsum plank deck and covered completely with a self-adhering waterproof membrane before the new Ludowici tiles were installed. 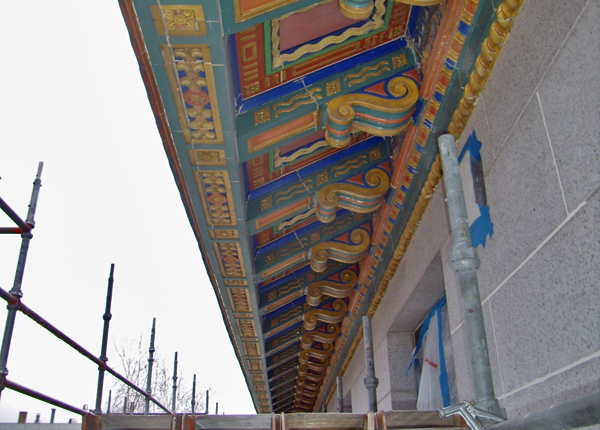 The roof replacement and restoration work will preserve the exceptional tri-color terra cotta details at the roof eave and soffits. 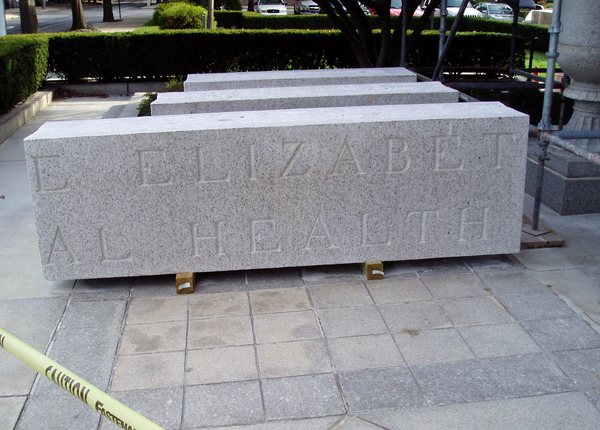 After the reconstruction work, the mortar joints in all the exterior granite cladding were sawcut and repointed - finishing the exterior restoration project that took three years of skilled craftsmanship to complete. 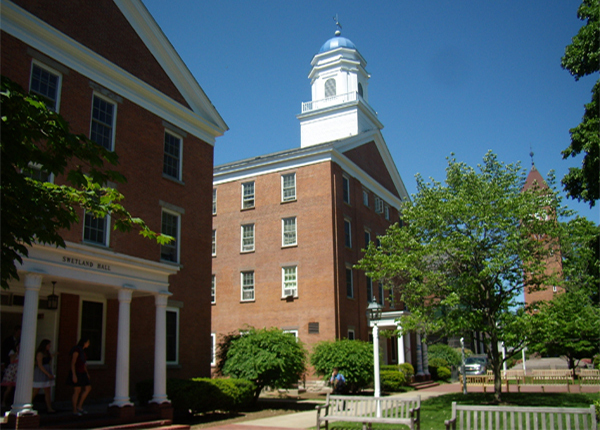 The A. E. Kirby Memorial Health Center was built in 1931 for the purpose of “preserving and promoting the health of the people of Wilkes-Barre and neighboring communities, and the control and elimination of diseases.” The main building and two annexes house a variety of laboratories and health, service, and advocacy organizations. Designed by T.H. 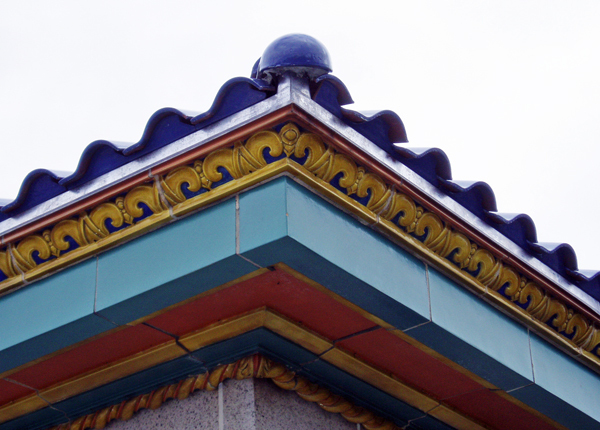 Atherton, to last 300 years, the main building’s exterior is Bethel White granite with a distinctive blue Ludowici tile roof. Interiors are richly finished with tile, wrought iron, plaster, oak and terra cotta. Annex 1 was originally a home designed for Priscilla Lee Bennett by the famous Philadelphia architect, Bruce Price, in 1883, in the Queen Anne Revival Style. 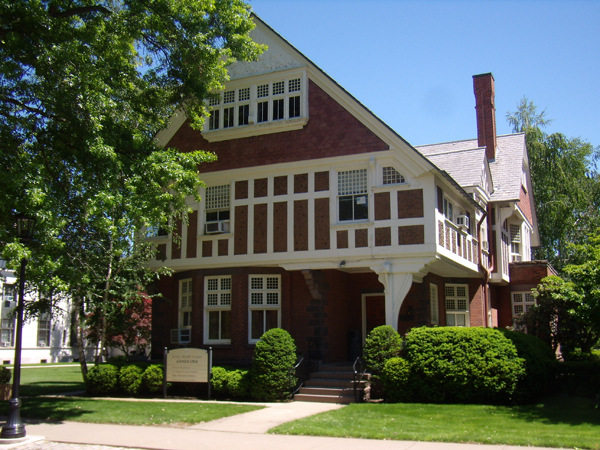 Annex 2 is more than 100 years old and was formerly the parsonage of the First United Methodist Church. 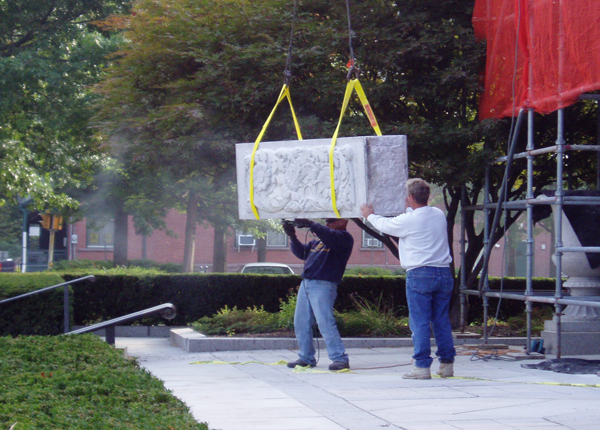 Bakker & Lewis Architects has served as staff architect for more than fifteen years and have designed and overseen a series of renovation projects to upgrade and maintain buildings and grounds to accommodate changing occupancies, functions, and technological requirements. 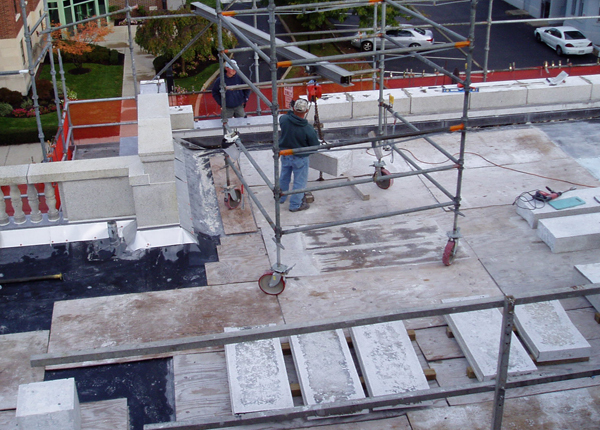 The third phase of a major exterior restoration was completed in 2009 that included rebuilding chimney and parapet walls, replacing through-wall flashing, repointing all mortar joints, masonry cleaning, rebuilding built-in copper gutters, restoring exterior bronze light fixtures, replacing wood dormer windows, Ludowici tile roof, and low-slope membrane roofing. 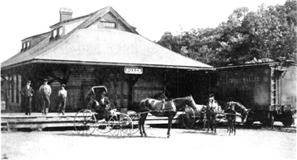 Bakker & Lewis worked with the North Branch Land Trust in the reconstruction and restoration of the former Lehigh Valley Railroad Depot at Noxen, Pennsylvania. Constructed around 1893 to serve the timber and ice industry of North Mountain, and a local tannery, it was abandoned in 1963 when rail service was terminated. 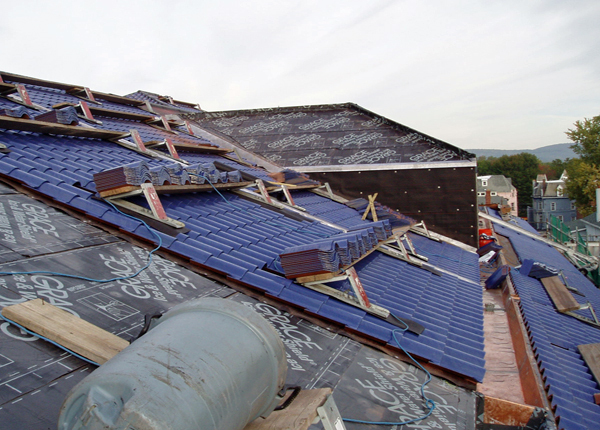 After years of neglect the building was in rough shape when the project began - as half of the roof structure had collapsed under snow and wind loads. 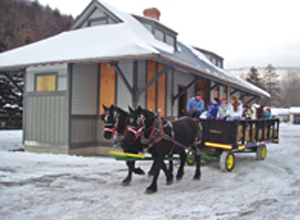 The Noxen Depot was donated to the Land Trust provided that they restore the structure and put it to non-commercial use. The exterior envelope restoration has been completed, with private donations and grant money from the Pennsylvania Historic and Museum Commission and Endless Mountains Heritage Region. The Land Trust is currently raising the additional funds needed to finish the interior restoration with hopes that it will one day serve as a museum of local history, a community meeting room, or possibly a field office for conservation groups.